While we haven’t quite made it to the Triple A busy season yet, we are starting to get some new games. I already talked about the Rare Replay collection last week, and today we’ll look at another anthology – the Megaman Legacy Collection. You may remember a Minecraft sprite project I was working on before my last computer met with an accident featuring the Megaman games. If you do, it should come as no surprise that I am very much in favor of this collection. We’ll start with the games included. 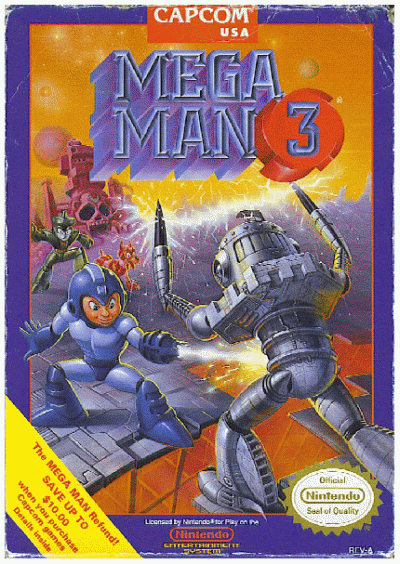 This is the third anthology of Megaman “Classic” series games, and the second to come out in the US. The first only was released in Japan as the Rockman Complete Works collection and featured the NES games with some neat extras. Our first collection was the Anniversary Collection, which was the first eight games in the series. 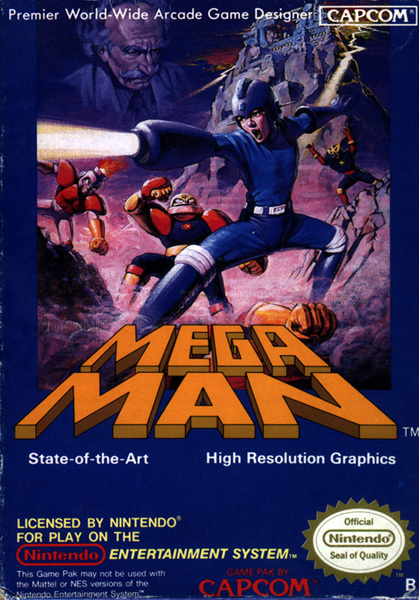 It was the first time that Megaman 8 appeared on a Nintendo console (Gamecube); and conversely, the first time the first seven games appeared on Sony and Microsoft consoles. 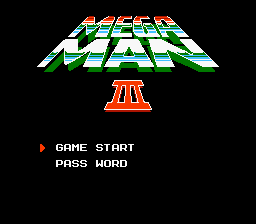 It wasn’t the best collection though in my mind – the Megaman 1 port was missing a feature unique to that game. The select trick that is present in the NES original wasn’t in the Anniversary Collection. 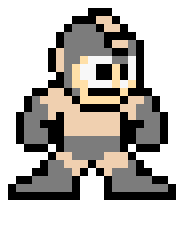 The Megaman 8 port was also the PSX version of the game, which is missing two hidden bosses that I think really should have been in the collection – Wood Man and Cut Man. Which brings us to the current Legacy Collection. It’s a simplified anthology, only featuring the first six games – the NES classics. The controls make perfect sense, and the unique quirks to each game remain in place. 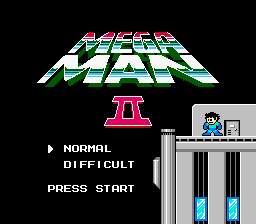 The first game’s select button “faintwarp” trick is still in there, Megaman 2 still retains the “normal” mode from the US NES version and there are even a few little sprite flicker elements. There are a few different visual options to pick from – you can make the game full or wide screen, in addition to the original screen size. If you want an extra bit of classic feel, you can put a filter on the screen to make your picture look more like a CRT display too. These don’t really have any impact on actual gameplay, but it’s a really nice little touch. The games probably haven’t ever looked this good on a console – they run really smoothly, and it’s easy to see every detail in the sprite work. 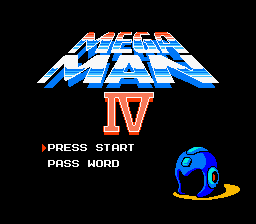 It’s no secret that the Megaman games have always been my very favorite games, of all times. This is a fantastic collection for a new player to get acquainted with the Blue Bomber. And for longtime fans, this is probably the best NES collection of his games out there. But what really makes this a real treat for longtime fans is the extras. Each game has a database showing off each enemy, including their health and damage, along with what weapon they’re weak against. 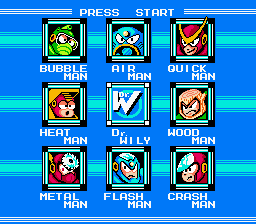 That’s an awesome detail for new and old players alike – there are 46 robot masters in the game, and that’s a lot of weaknesses to have to remember. I find myself looking through the database just to see some more about everything in the games. Each game also has a museum associated with them, showing off the art from the manuals, as well as any other promotional artwork, including the boss contest submissions. It’s a really cool detail – I love the museum for the original game, since each weapon has two pieces of art: one from back in ’87 and one from more recently. The last part of the collection is the Challenge section. They’re bitesized bits of Megaman goodness. They range from completing a screen or two from each stage in a game, to boss rushes, to beating levels under very specific circumstances. They’re great ways to give longtime players a little different kind of challenge. 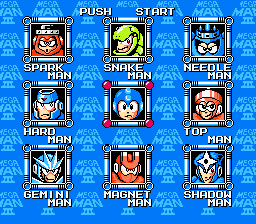 The Megaman games are well known for being pretty tough to begin with, but like most platformers are based on patterns. The more you play, the easier they get. The challenges shake the formula up and push you to learn new patterns – something that isn’t super easy after 20 years of playing the games. The Legacy Collection I think is a really awesome way to enjoy six of the best games that ever graced the NES. Megaman is a franchise that I think younger gamers don’t have the same appreciation for that a lot of older players do, mainly because Capcom has been loathe to make new Classic series games. 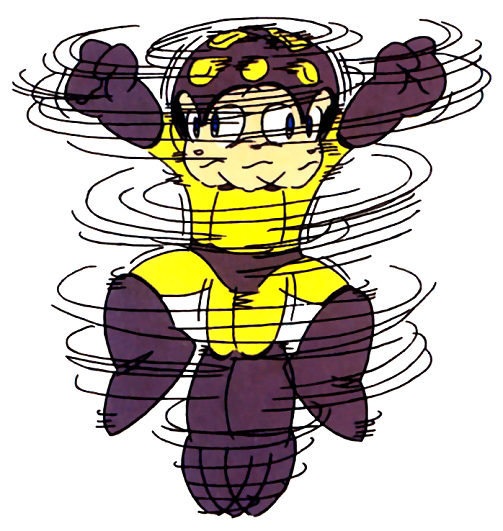 Hell, the Blue Bomber in general has been on Capcom’s backburner for far too long I think. I’d love to see this collection, along with the success of Mega in Smash Bros. maybe get them thinking that the time is right for him to come back. We’ll just have to wait and see. Regardless, I really think you should go pick this up – it’s only $15, and it’s six amazing games. As I’ve been saying for about the last week now, I cannot wait for Fallout 4. It surpassed Star Wars: Battlefront as my most anticipated game of the year. I certainly didn’t expect another announcement before E3 to get me anywhere near that same level of excitement. That was before Capcom changed that earlier this week with the Mega Man Legacy Collection. I’ve talked plenty on this blog about Mega Man, from my currently on hiatus Minecraft project, to my thoughts on how perfectly the games illustrate excellent game design. 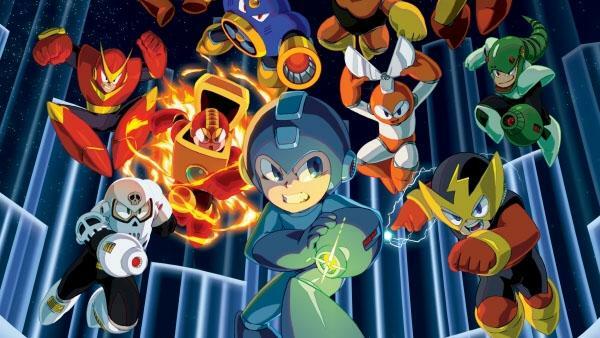 I’ve always said that for all the great games in the last 10-15 years, my favorite games of all time are still the original Mega Man games. This isn’t the first time that Capcom has put out a collection of the classic games – 10 years ago for the 15th anniversary of the series they put out a collection of the first eight games. I bought that game then, and I’ll buy this upcoming collection too. I actually think that this Legacy Collection could end up being the better product. Not only is it a more focused game, only featuring the first six NES games; but it’s got the added benefit of the new console power. I expect them to run smoothly – at this point there shouldn’t be much of an issue with any emulation for them. I’m also looking forward to the prospect of achievements/trophies – it’s on the Xbox One/PS4/PC. Depending on how they structure them, they really could open up a series of amazing games to a whole new audience. I really think that of the six games in the collection, four of them are absolute must-play games, and the other two are still really strong games. 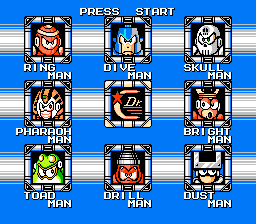 Those first four Mega Man games are absolute gems – not only individually, but as a series those first games are such a great example of refining the games features and updating the series. The idea of sequels is that they take the previous games’ strengths and weakness, and make better the strengths, and get rid of the weaknesses. Those first four games do that pretty much perfectly. Fallout 4, Rock Band 4, and Star Wars: Battlefront had been my slate of games that I considered my must-buy list for the later part of the year. Over the course of the summer though, the Mega Man Legacy Collection has definitely popped up into the list. I’m definitely looking forward to playing through my favorite series all over again this summer.